Pres. 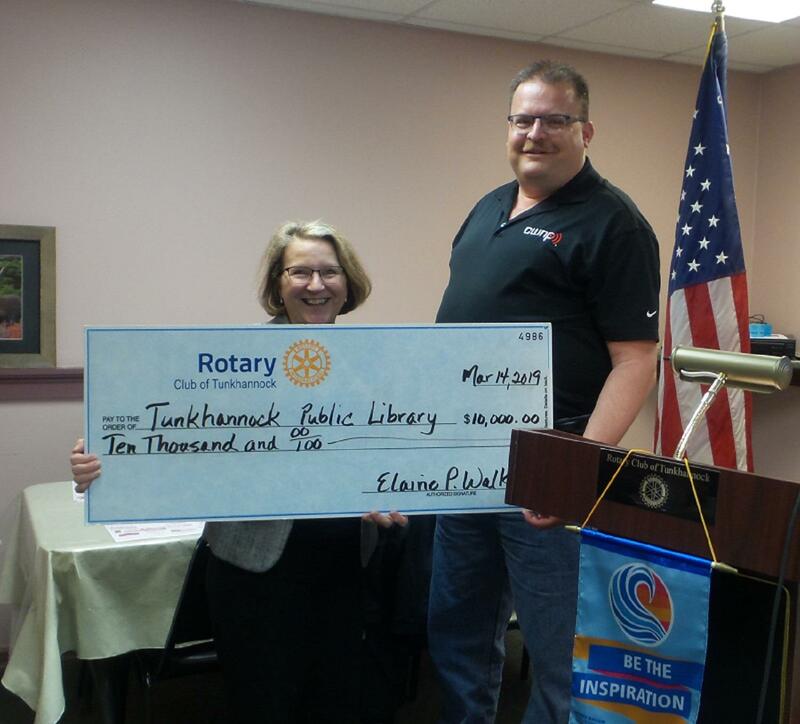 Mike presented a check to the Tunkhannock Public Library (TPL) for $10,000 at the Mar 14 Rotary Luncheon. The check was accepted by Rotarian Kristin Smith-Gary, Executive Director of the TPL. Kristin provided a brief update on the Library. Our donation helped fund the 1000 Books before Kindergarten (a preschool program where parents read 1000 books to their kids and they get prizes), the Wall Street Journal subscription, picture books, junior fiction and young adult books for the kids and summer and year round programs for all ages of kids. A core of young adults has developed due to Rotary’s donation. Donations from the community provide 52% of the operating budget for 2019. 50K people visited the library, 151K books checked out, 4,500 uses of computers and 5,500 people attended library programs.